The Beatles 50 Years Ago Today: November 28, 1966. Beatles Radio: The Beatles, Solos, Covers, Birthdays, News The Fab 4 and More! The Beatles recorded three more takes of Strawberry Fields Forever during this 7pm-1.30am session. They chose to arrange the song differently from the first session for the song, and lowered the key from C to A major. The three takes were numbered 2-4. The Beatles' first task was to complete a satisfactory rhythm track. 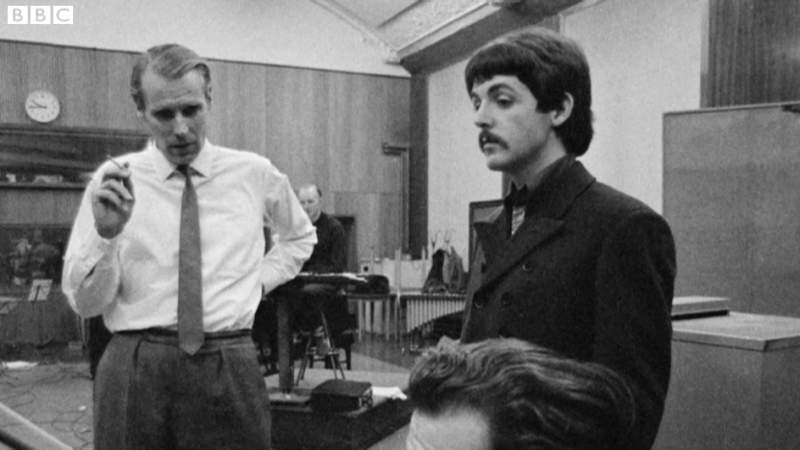 Take two followed a similar arrangement to the first session's, with a Mellotron introduction performed by Paul McCartney, John Lennon and George Harrison on electric guitars, and Ringo Starr on drums and maracas. It ended after the final chorus. Take three broke down during the introduction, after Lennon complained that the Mellotron was too loud. The fourth take was complete, however, and featured Harrison using the Mellotron's guitar setting to add slide guitar and Morse code-style notes. Lennon then added lead vocals, with the tape running faster so it was slower upon playback, and McCartney added a bass guitar part to the final track.